I have always had a fascination for tiny things. Raindrops, dollhouses, pieces of glitter, "silt" that you could find on the playground, pocket-sized board games, teenie beanie babies(!! ), rainbow sprinkles, tiny kids with their miniature features! and so on. 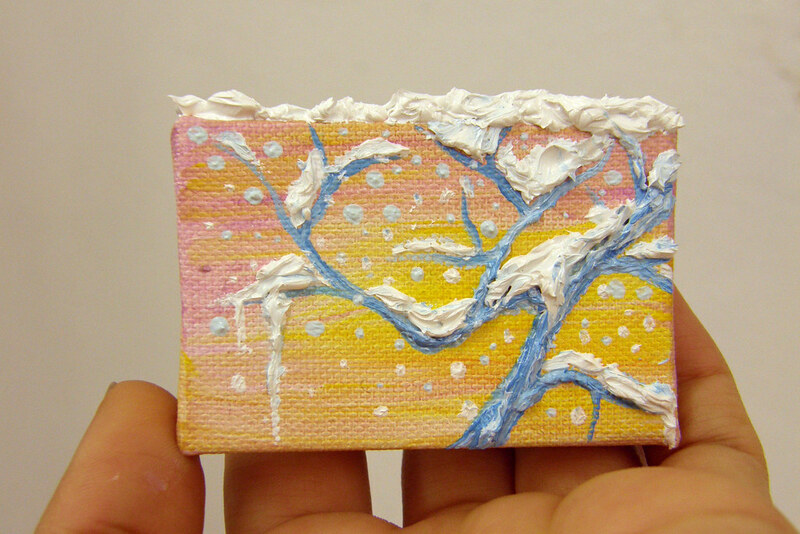 When I was younger I used to make tiny things out of clay, felt, toothpicks...anything I could think of, really. I even wounded my hand early one morning when I was 8 making a house out of popsicle sticks. I don't know why, I just LOVE miniature things. I still do!! 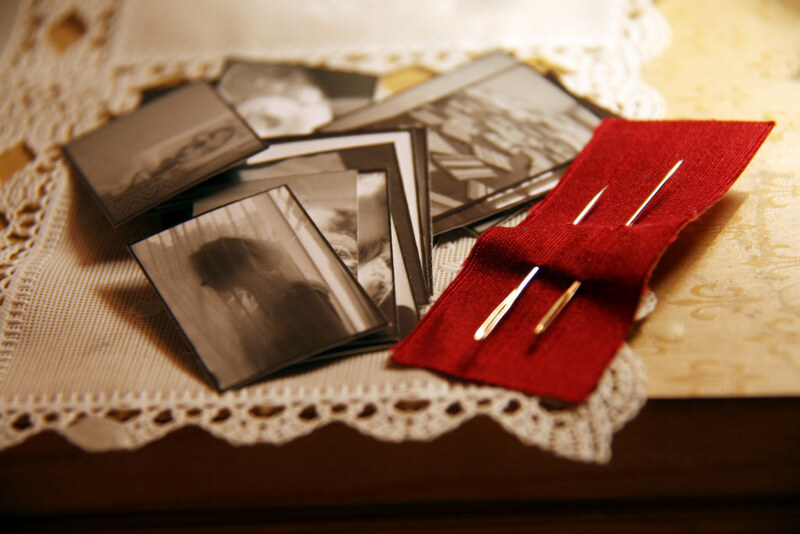 Tiny photographic prints... your first peek at my black & white photos!! 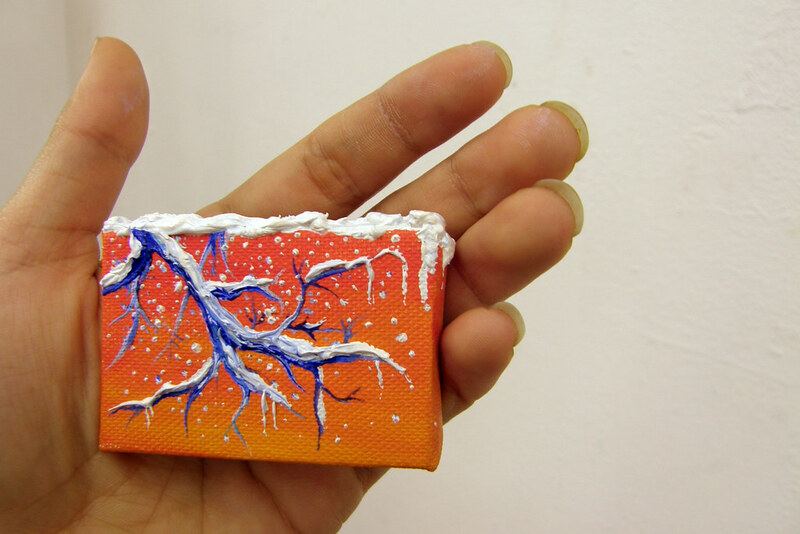 One of my many ideas is to make miniature worlds... fare mondi piccoli. I want to create places where we can all go and have a smile. 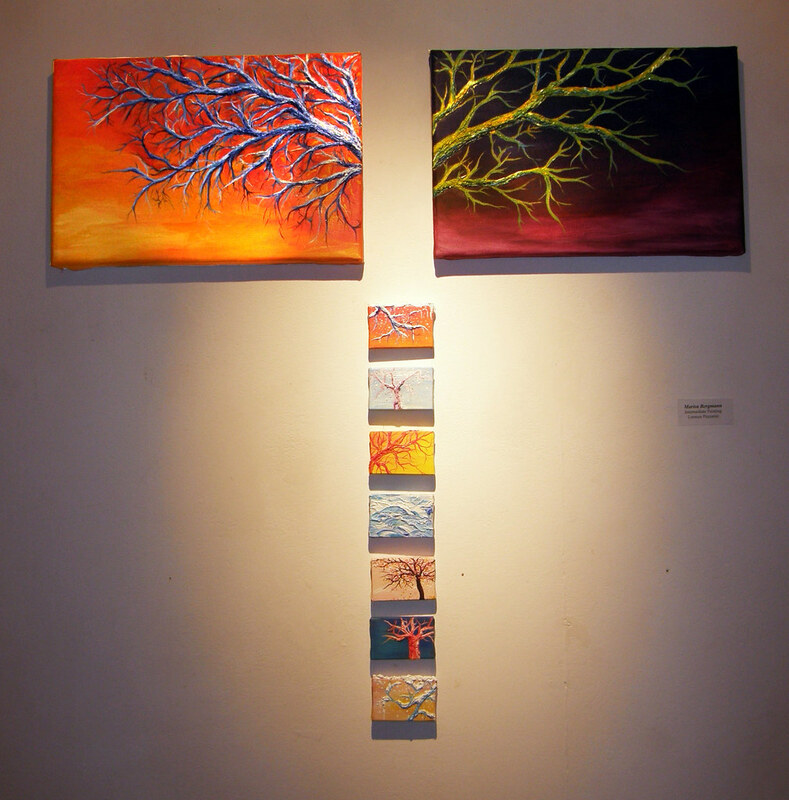 It began with two medium-sized paintings of tree branches, intricately sculpted, reaching, growing, breathing. 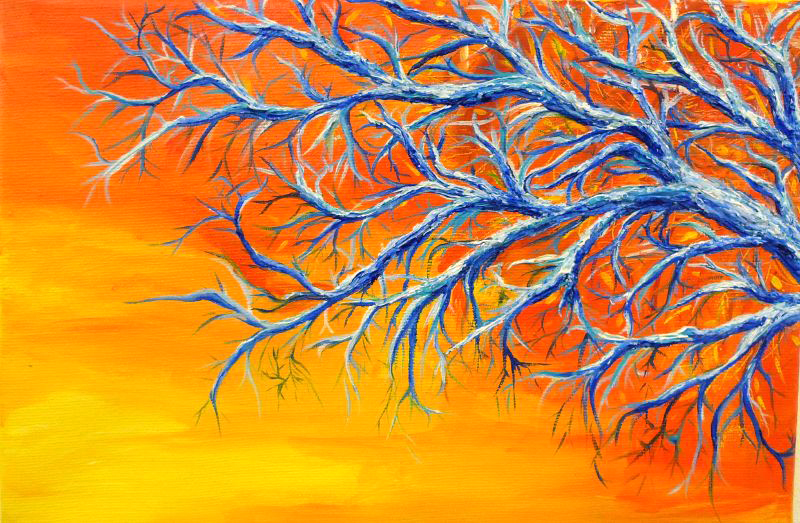 . . You can't really tell from this photograph, but the branches have become 3-dimensional rather than flat. I literally build them up to the point where the paint casts shadows on itself under bright lights. On November 5th, I went to an art store with the intention of buying a huge canvas to try my luck at working large. 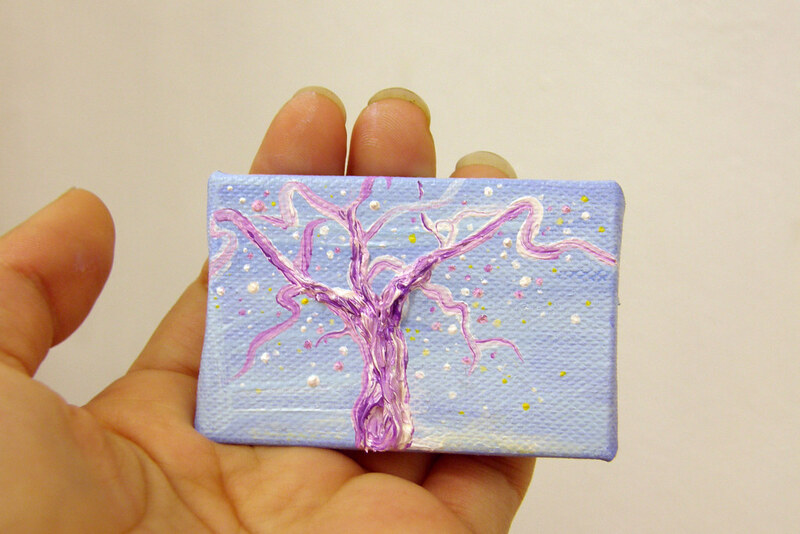 I came out with 17 canvases ranging in size from 4x6 cm to 6x7 cm. As soon as I saw them, I knew I had to bring them to life!! It was too perfect for words. Not even the canvas could escape the snow! Vallee says this one looks just like a Colorado morning sky on the first day of snow. These painting turned into a cohesive piece, which was exhibited in the art gallery at my school. The response was generally good, lots of "They're so adorable!" But the best compliment I received by far was something along the lines of . . ."I love your trees. I want to be there." Hey Marissa! I'll never look at a cervical spine x-ray the same way again. You have an amazing gift. Your work offers a sense of peace and promotes introspection and meditation. Thank you for sharing! Book Arts ~ "L'arte del libro"